Taking care of the engine with routine maintenance and regular servicing can avoid most engine failure catastrophes. Resulting in an inoperable car that will require a new engine or engine rebuild is frequent because of an overheating condition or broken oil pump. Some argue that replacing the engine with a used one is more cost effective, you could be inheriting other problems. But we believe a rebuilt engine is the more beneficial approach and we at Precision Performance Machine Shop & Engine Rebuilding would like to relate why. When the engine is rebuilt, it is first removed from the vehicle and completely disassembling it from what’s commonly referred to as carb to pan or an injector to pan. After it is disassembled, the parts are cleaned, and inspected, all damaged parts are replaced with new or refurbished replacement parts. 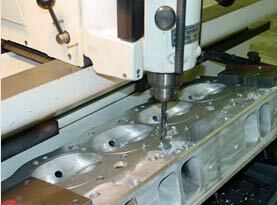 In the assembly of the rebuilt engine that will meet OEM standards, all new gaskets, seals, and lubricants are employed. More often than not, the bearings, gaskets, seals, O rings, timing belt or chain, valve springs, and the oil pump are the more common parts that need to be replaced. 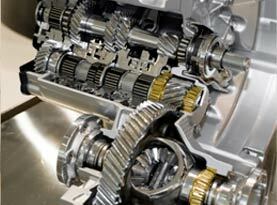 The primary components, like the camshafts, crankshafts, and pistons only need to be replaced if needed. The engine block may have to be bored to align the crankshaft main bores in the event severe damage occurred to your engine. 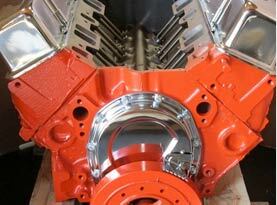 However, to fit new pistons, the cylinders may need to be bored. Though it requires more work, it will allow the engine to perform. –	The component punches a hole in the block internally; causing the exterior of the engine block to be cracked or “windowed”. Is a Rebuilt Engine Cheaper, Reliable, Long Lasting and/or Good as New? 1) After the engine rebuild, you have peace of mind that it is comprised of new parts and that it was closely inspected. 2) The overall life of the engine is extended; depending how long it lasts is dictated by how many parts were replaced. 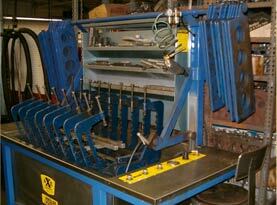 3) You impact the environment positively by recycling parts, reducing scrap. 4) Engine rebuilding is the connectivity and compatibility with the existing ECU and electrical system. The engine originally installed in the vehicle is designed and programmed to communicate with the ECU. The ECU has problems connecting and communicating with the new engine in many instances when an installed new engine has occurred. Not only so, but an engine swap will require either a reprogramming of the ECU or replacement more often than not. In most cases, if you have the opportunity to opt between a replacements or an engine rebuild, it is always advised to repair the existing engine with new OEM replacement parts to reduce the potential of compatibility problems. Engine rebuilding is most often the best option and when you want your engine rebuilt, call the experts of Precision Performance Machine Shop & Engine Rebuilding today and let us get it done quickly and efficiently.